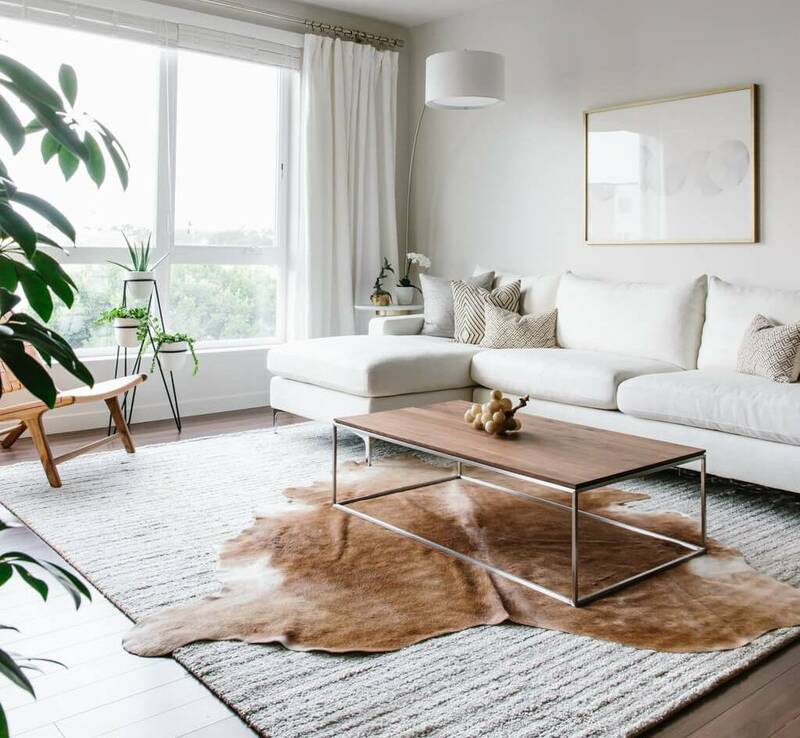 Lisa from Downshiftology added character to the neutral palette of her minimalist living room. 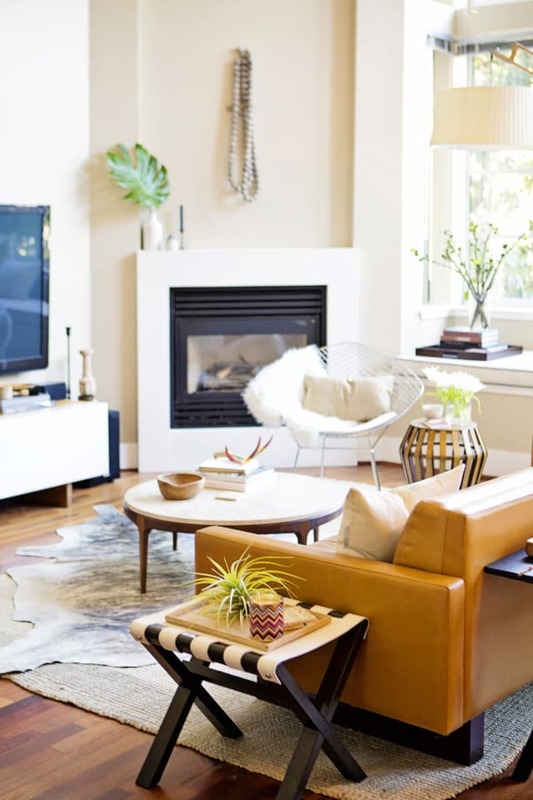 Layering rugs is a great solution to a room with a large amount of space. 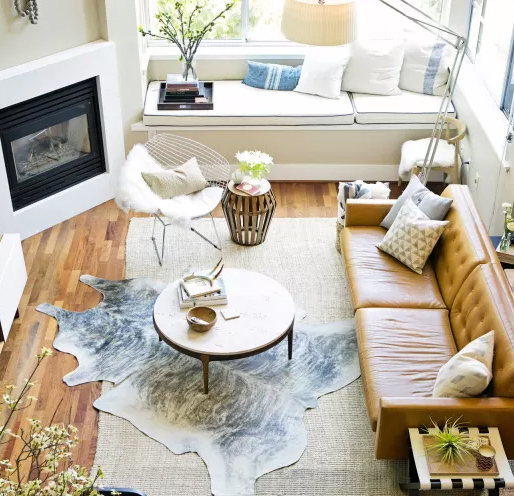 Using a neutral rug that is big will give the space warmth, adding a cowhide will anchor smaller furniture groupings. 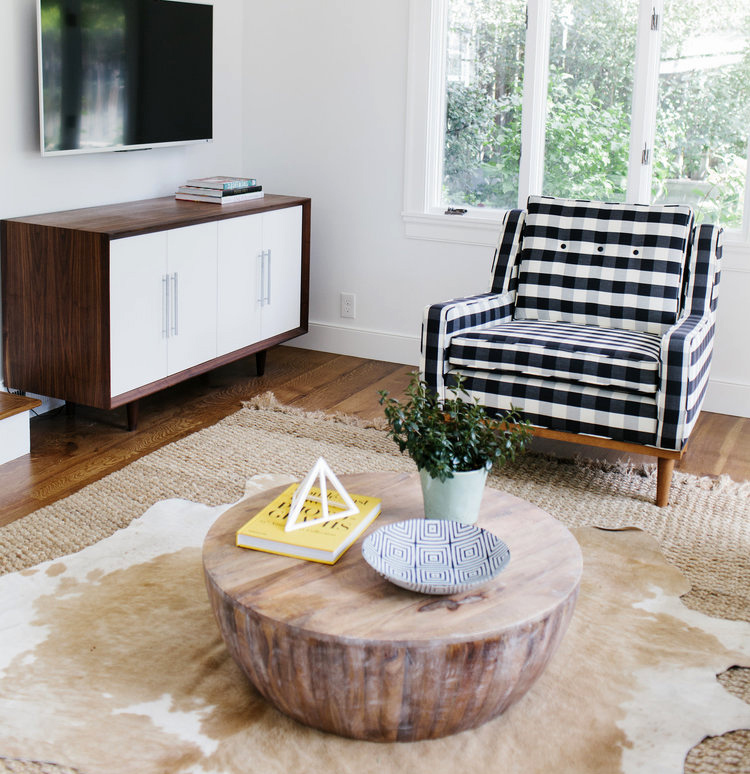 This great room remodel featured on Studio McGee used a sisal rug for the base layer and a tan cowhide to bring it all together. Another sisal rug in this Apartment Therapy Tour. I love the mixture of pieces in this space. 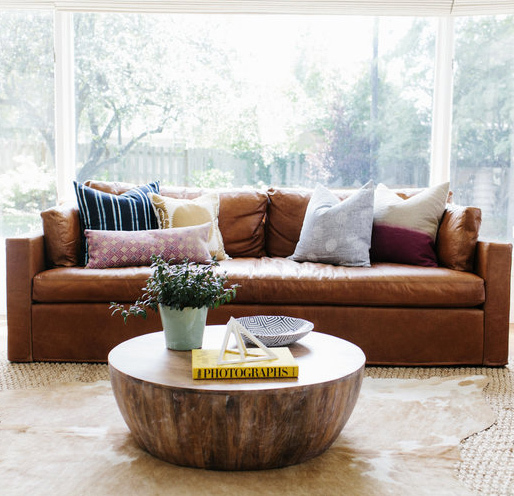 It feels completely cozy and like a space that has been curated over time with things the owner loves.